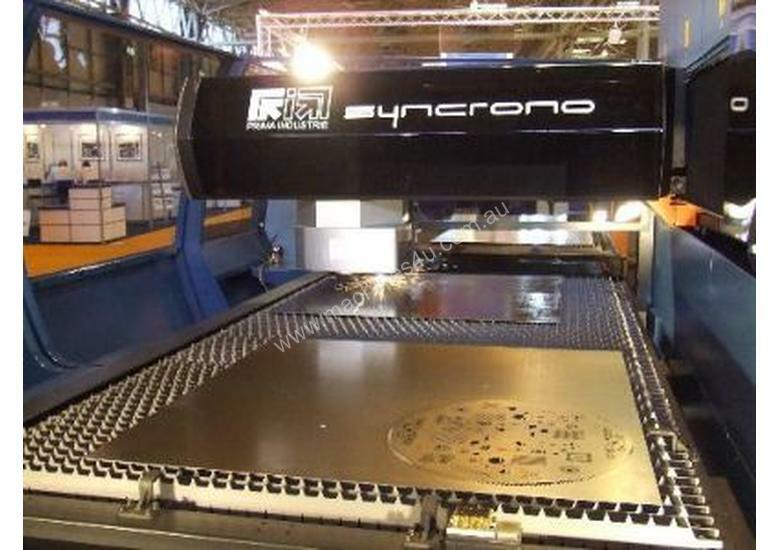 SYNCRONO is a radically innovative machine for the very fast and accurate cutting of the sheet metal, even on very complex trajectories. With an acceleration two times greater than previously attainable and with an innovative base which eliminates resonance - the combination results in maximum performances with maximum efficiency. 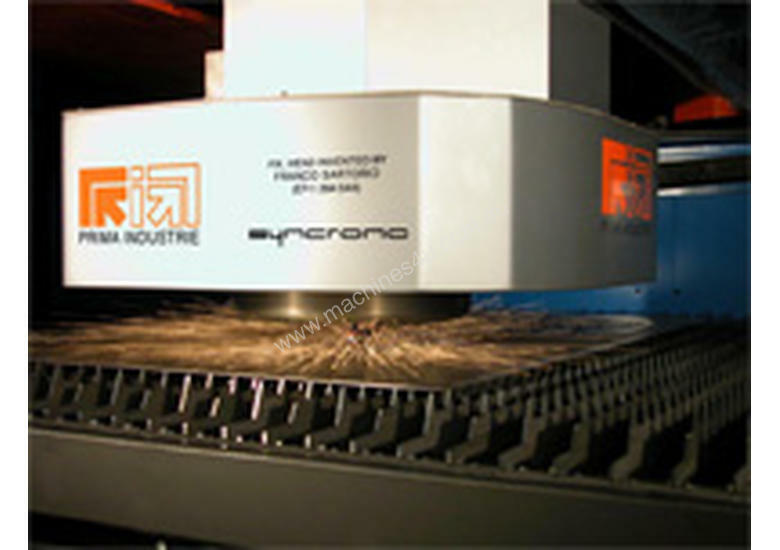 SYNCRONO represents a giant leap forward in the evolution of laser machines. SYNCRONO reaches an effective acceleration (i.e. during cutting) of over 6 G. More than 1000 holes per minute, twice as many as the previous machines on the market, are an excellent demonstration of its performances. SYNCRONO is based on an utterly unique solution. 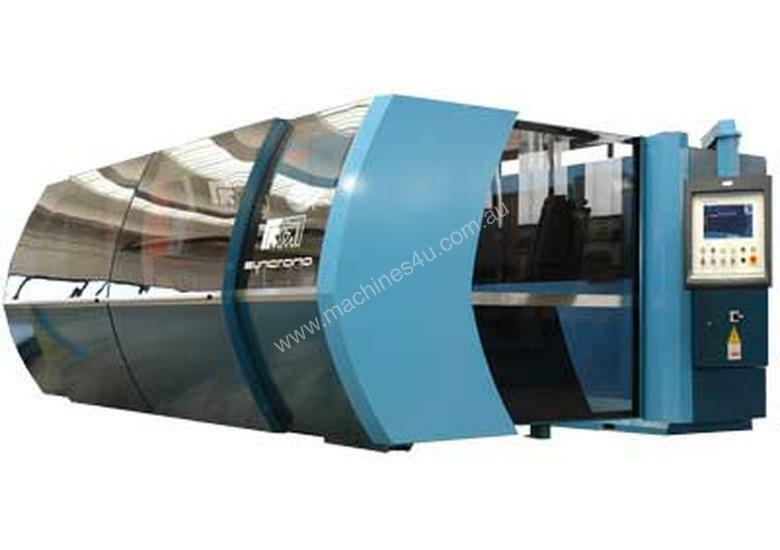 There are in fact two machines in one, perfectly synchronized: one small and light head, with very high dynamics and minimum moving masses and one larger machine, with a wide working area (3000x1500 mm). The two machines are coordinated by patented algorithms, for the most advantageous distribution of the movements throughout the axes. An active compensation cancels the vibrations deriving from the high dynamics. PRIMA INDUSTRIE is a vertical integrator - the machine tool, laser, CNC Control, software, and cutting head are designed and manufactured by the PRIMA GROUP exclusvely at their Turin Italy manufacturing centre. 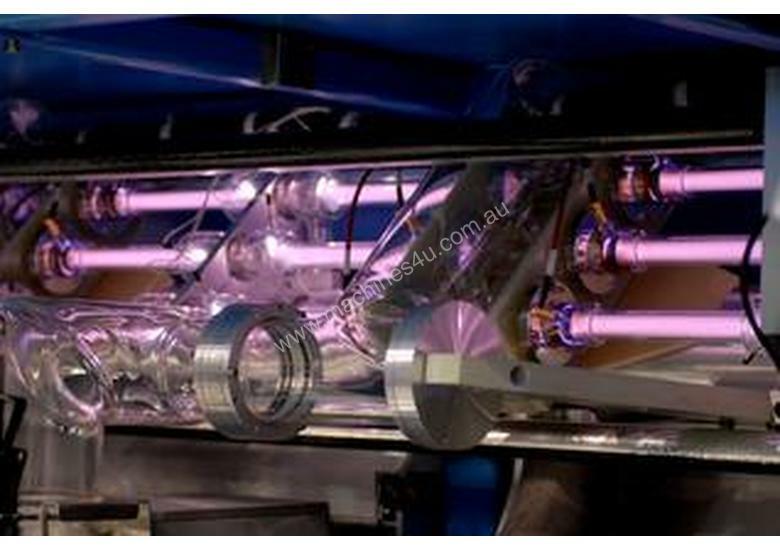 PRIMA laser systems are offered exclusively from IMTS for the Australia/New Zealand market. numerical control based on standard PC with LINUX/RTAI O.S.